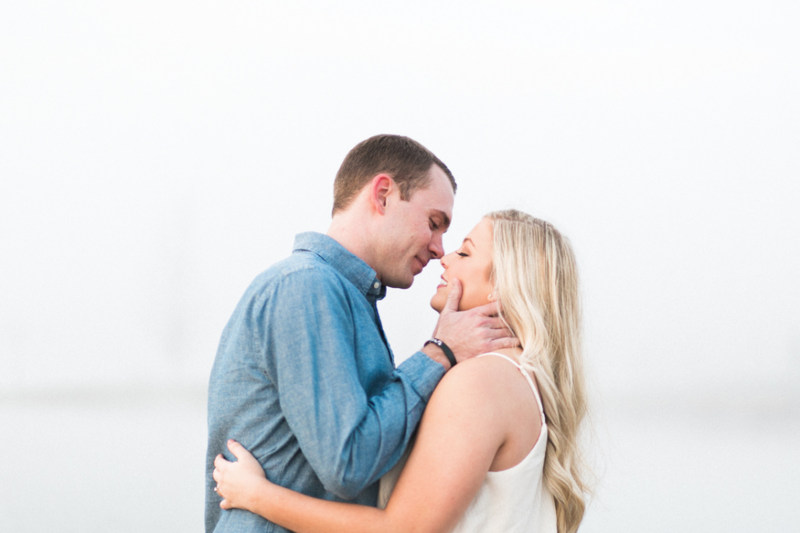 Seth and Katelyn are just perfect for each other and I am so excited to be their wedding photographer! Sweet Seth actually contacted me, to check my available dates, BEFORE he proposed to Katelyn! He said he knew she wanted me to be their photographer! How thoughtful and attentive!? They were troopers to agree to a SUNRISE engagement shoot to get the prettiest glowy morning light. We started at the Liberty Park Marina and just happened to get the yummiest morning fog! Then we continued to one of my favorite historic downtown Clarksville spaces to incorporate something more edgy and fun into their photographs. You can view their gallery for more images and to see their sweet slideshow here — Katelyn + Seth So excited for their September wedding at The Tanglewood House, one of my favorite Clarksville wedding venues!